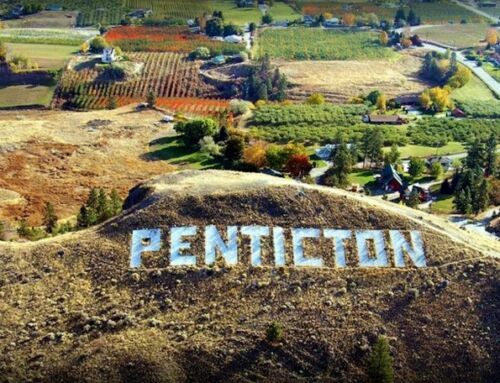 Penticton is located in the south central region of British Columbia, in an area known collectively as the Okanagan Valley. With over 2100 hours of sunshine and only 15 inches or rain annually, Penticton has a comfortable climate year round. Add two fresh water lakes and gentle rolling mountains, and you have an ideal vacation spot. 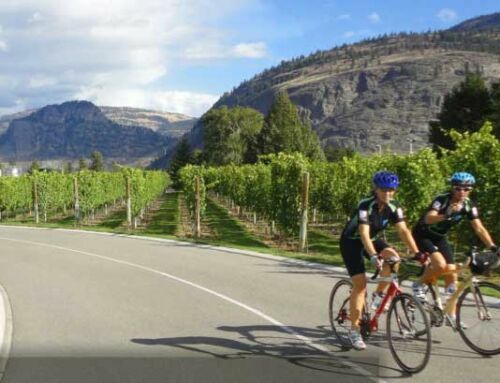 With our great weather, extended season and world-class variety of routes and trails, it’s no surprise that Penticton is a cycling community. 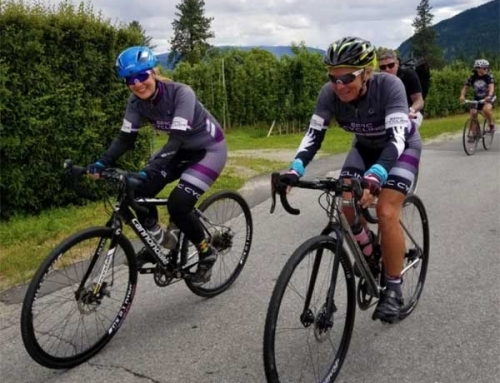 We like to get out and about – whether we’re cruising a leisurely path between wineries, taking a technical route down the side of a mountain, racing in international competitions like the Axel-Merckx Granfondo or spending a Sunday at the local BMX park. Thousands of cyclists are drawn here every year for our numerous events and cycle-attractions – regardless of what kind (or what level) of cyclist they are. As a community, we’ve mapped out beginner and professional routes for road cyclists, mountain bikers, off-roaders, single trackers and families. Contact Epic Cycling for our road cycling wine tours! If that wasn’t enough, many of our local businesses are cyclist-friendly too. We have top notch tour companies, rental shops, equipment providers, accommodations, cafes and breweries who are happy to accommodate you when you need a break. We also have a large trail map, bike repair kit and several bike racks right beside the beach in the heart of downtown. Lastly, our cycling community is thriving. Thanks to countless volunteers, avid community members and passionate cyclists, we launched a city-wide biking initiative to keep our trail network growing and improving. They offer an active voice in trail design and maintenance, as well as event support and organizing rides. Their coaches and long-time members provide a wealth of knowledge to the community, for residents and new-comers alike. The City of Penticton is delighted to announce our newly declared status as a Biking Precinct by the BC Ministry of transportation for all these reasons, and more. The Okanagan, Similkameen and Thompson river valleys experience BC’s hottest summers, with temperatures often in the 30s °C. The Similkameen Valley, the approximately 4,000 hectares (9,900 acres) of vineyards planted in the Okanagan account for more than 90% of all wine produced in British Columbia and are second in economic importance for wine production to the Niagara Peninsula of Ontario. The Wines of British Columbia are exceptionally food-friendly. Our extreme northern growing conditions – at the very edge of where grapes can be grown – produce wines with a remarkable balance between fruitiness and acidity. Our wines are fresh, crisp and lively, which makes them perfect for food and impressively adaptable. The Okanagan and Similkameen climates are well suited to sustainable and organic grape growing – there are an increasing number of vineyards switching to organic techniques. Hot summers, low rainfall, low humidity and persistent winds all help to reduce damage and crop losses from pests and diseases.